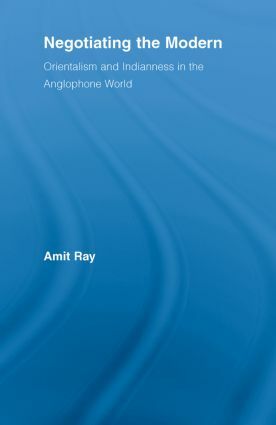 This book explicates long-standing literary celebrations of 'India' and 'Indian-ness' by charting a cultural history of Indianness in the Anglophone world, locating moments (in intellectual, religious and cultural history) where India and Indianness are offered up as solutions to modern moral, ethical and political questions in the 'West.' Beginning in the early 1800s, South Asians actively seek to occupy and modify spaces created by the scholarly discourses of Orientalism: the study of the East (‘Orient’) via Western (‘European’) epistemological frameworks. Tracing the varying fortunes of Orientalist scholars from the inception of British rule, this study charts the work of key Indologists in the colonial era. The rhetorical constructions of East and West deployed by both colonizer and colonized, as well as attempts to synthesize or transcend such constructions, became crucial to conceptions of the ‘modern.’ Eventually, Indian desire for political sovereignty together with the deeply racialized formations of imperialism produced a shift in the dialogic relationship between South Asia and Europe that had been initiated and sustained by orientalists. This impetus pushed scholarly discourse about India in Europe, North America and elsewhere, out of what had been a direct role in politics and theology and into high ‘Literary’ culture.